Flavio Roddolo is one of the last remaining truly genuine wine-growers in Piedmont. The 20.000 bottles he produces annually, in the Bricco Appiani hill outside of Monforte, are the work of an artisan deeply attached to his land, who knows and respects each one of his vines. The 6 hectares of vineyards have not been chemically treated for 40 years, following biodynamic ideas before it became fashionable. Roddolo uses only indigenous yeasts, does not clarify nor filters. The vines, planted on calcareous/clay soil, are 10 to 70 years old. His wines are a reflection of the Monforte terroir and of the man who makes them: they are introverted, brooding and intense, but with patience they reveal a rich, unique and rewarding personality. third week of September. After a fermentation of 15 days in stainless steel tanks. Organic, artisanal, and crafted only using natural yeasts, this wine was bottled unfiltered, unclarified and unfined, in order to keep the distinctive characteristics of the Terroir of origin. Nice, medium intensity, dark cherry color. The slightly esoteric and rustic nose offers flavors of ripe dark, wild berry with earthy, smoky notes. The palate follows with the same earthy, raw, rustic yet juicy, bistro-like attitude. It tastes almost like freshly crushed ripe, mature grapes mixed with dirt and smoke. The rawness of this wine appears in a more evident way in the mid-palate. The finish is fairly dry and rustic too with present, dry tannins which add very good structure to this wine. A wine of character for the adventurous, somewhat more open minded palate. Overall, I know, my notes are not necessarily inviting or convincing about this wine, but you 'll be surprise, I enjoyed it despite some angularities. Definitely not your everyday wine, you should decant it to tame it a bit and serve it with a substantial, earthy meal. Info partly taken from Jan d'Amore website at www.jandamorewines.com, this producer doesn't seem to have a website. Susanna Soderi together with her mother meticulously run this small estate near Castellina in Chianti. The territory, because of its marly chalk and sandy soil is known within the Chianti region for its elegant, delicate and fragrant Sangiovese. The four hectares of vineyards, planted in 1999 are cultivated at a quasi-organic regime and produce a mere 7200 bottles of wine. The philosophy of Setriolo is clearly expressed in the 2 images on their label which represent the historic farm and a stylized image of the one olive tree that survived the big frost in 1985 and still stands today, alone amidst the newly planted vineyards: a desire to move forward, while respecting nature and history. This organically farm wine was made from 100% Sangiovese grapes, carefully harvested and selected from young vines planted (at 300 feet above sea level) in 1999 and 2005. The wine undergoes a fermentation of 20 days in stainless steel tanks and cement vats where the malolactic also takes place. About 60% of the wine was then matured for 12 months in second-used French barriques, the remaining 40% in stainless steel tanks and cement vats, then blended and bottled. The medium to light intensity color is clean, clear and bright ruby red. The nose is earthy, floral, with hints of red berry and roses. The palate is, overall, soft, rounded and well balanced with great acidity and good length. Young and juicy, this is a really enjoyable, bright and traditional Chianti Classico. Lovely. For the purist who knew Great Wall, one of the most famous Chinese wines sold in Europe (and in the rest of the world), here is a new challenger from China: Dragon's Hollow. Dragon’s Hollow, one of the first Chinese winery to produce a high quality grapes, is located at the foot of the He Lan Mountain range in Ningxia Hui, China (about 600 miles west of Beijing, central-north China). The vineyard was started in 2003, but the vines were originally planted in the early 90’s. The land covers an area of 6,000 hectares and is the largest top quality vineyard in Western China. The landscape looks like a huge green mirror inlaid in the vast expanse of the Loess Plateau. China’s best varieties of wine grapes are grown in this region profiting from the sandy soil which is rich in organic content. Experts from both China and abroad have found the natural conditions in this region are comparable those found in France’s Bordeaux region and agree that it is the best ecological zone in China for growing top quality wine grapes. The lofty He Lan Shan Mountains shelters the vineyard from cold winds in the winter and local spring water is used to irrigate the vineyard in the spring and summer. Dry weather and long hours of sunshine ensure that the grapes grow to full ripeness with superb colors, a full aroma, and an enchanting taste. The long and cold winter helps to ward off plant diseases and insect pests. Winemaking is Ningxia has a history of over 1,000 years. During the Tang Dynasty (618-907) a famous poet wrote a poem in praise of the wine made in Ningxia . During the 11th and 12th centuries the Xixia Kingdom flourished here. The Capital city Yinchuan, used to be an important town on the ancient Silk Road where many merchants came to trade. They brought the local wine to other parts of the country making it known far and wide. Rock carvings in the Helanshan Mountains are testimony to the cultural exchanges between different ethnic groups in ancient times. Today the people of Yincuangxia are carrying forward the fine tradition of wine making by adopting high technology and modern management. First, I need to say that I tasted this first wine blind and need to admit that this wine wasn't easily recognizable because of its texture (somewhat lighter and not as complex as a Burgundian Chardonnay, with a "je ne sais quoi" of New World ripeness, a more tropical fruit touch to it, without being over extracted or too ripe), but also because of its bright acidity that reminds me more of some other grapes (sort of a sauvignon-like texture in the palate), pretty vivid for a Chardonnay or too light. The nose is bright, clean, fresh with aromas of citrus, lemon peel or zest, green apple and a touch floral. Light on his feet, the palate is refreshing, balanced and clean yet not too complex but very pleasing for a first experience with a Chinese white wine (I tasted some reds before, but no whites until today). The finish is simple and easy going with an excellent balance. Overall, even if a bit light for my taste, I enjoyed it very much and I think my customer will be please to experience such wine. I think that with a tiny bit of age, the vines will get slightly better and more interesting. For now, it is rather uncomplicated, discreet and straightforward. I hope that the next vintages will bring more layers of complexity and depth. But in this kind of price range, it remains a very strong value (especially in today's market where everything is so expensive). I tasted this wine last winter and it was a bit closed. However, because the lightness and the vivid acidity that this wine shows, it seems more appropriate for the summer months and seems to have evolce the right way since then. Let's just hope that we will have a good summer and a warm Indian fall, because so far this spring season has benn awfully rainy. This is a wine to discover and to appreciate on salad, oyster, shell fish and grilled river white fish. Dragon's Hollow Riesling is definitely more expressive on the nose than the Chardonnay (although it remains quite discreet and restrain compare to some Alsace or German Rieslings). It displays floral and fruity aromas of white flowers, honeysuckle, white peach and apricot skin mixed with notes of wet stone minerality. The palate is dry (dryer than an Alsace and definitely more than a German Riesling) and offers similar flavors of citrus, lime, honeysuckle and a twist of petroleum. Showing more depth and multiple layers of fruit combined with a great acidity, it appears less mono-dimensional than the Chardonnay. Overall, both have a great balance and some interesting features despite the fact that they are both quite light; yet they will surely quench the thirst of someone looking for a fresh, bright, clean and down-to-earth white wine. The wines from China just started to arrive in the American market and they are fairly unknown to most drinkers. Fortunately, made out of international grape varieties, they will ease the expected hesitation of the consumers at first. Unfortunately, for some people, it will just be another Chardonnay or another Cabernet (or any other international grape) from another country that doesn't have a past of winemaking history. It may fashion a certain interest at the beginning, but who knows how long is it going to last, especially if they don't rapidly focus on high quality wines for a decent price. If they don't offer wines made from lesser known (or less commercial) grape varieties, after a while the Chinese wines may end up not selling too well and not necessarily continue to attract the customers (except may be by curiosity or because the wine is a truly good value compare to other wines from other countries made from the same grape). They may have to specialize into certain grapes to keep up with the market (like Malbec in Argentina; Carmenere in Chile; Tannat in Uruguay: Shiraz in Australia; Sauvignon in New Zealand; Riesling in Germany; Gruner Veltliner in Austria; Tempranillo and Garnacha in Spain; Sangiovese and Nebbiolo in Italy; Pinot Noir in Burgundy and Oregon; Cabernet Sauvignon and Merlot from Bordeaux and California; etc...only to talk about the most well-known grapes, because they are dozens more coming from the 70 leading wine producing countries in the world). However, I'm glad that there are quite a few open minded people like David Henderson to lead the way into introducing winemaking and wine tradition in new countries. I wish him luck with Dragon's Hollow Vineyards and will be proud to be one of the first in New York to carry his wines and suggest them to my valuable customers. We have now carry at the store Dragon's Hollow since last fall, but I think customers will better appreciate these wines now that we timidly entering in the summer months. Keep an open mind on everything, do not judge too quickly when you don't know and don't be too stubborn about what you like or dislike, taste it before making in hasty conclusion. Located at the most northwestern part of Italy, bordering France (to the west), Switzerland (and also Valle d’Aosta, to the north), Lombardia (to the east), and Liguria (to the south), Piedmont is the kingdom of the Nebbiolo grapes, producing some of the most sought after red wines in the world, like Barolo and Barbaresco. Three other red grape varieties reside also among some of the most preferred reds of Europe: Barbera, Dolcetto and the less recognized yet up-and-coming Freisa. Moscato, Arneis, Cortese and Erbaluce (to a lesser extend) constitute the main white grape varieties that also produce super friendly, versatile, everyday whites like Gavi and Roero Arneis on the dry side and Moscato d’Asti on the sweet, slightly fizzy, side. Piedmont possesses 45 DOC (Denominazione di Origine Controllata) that are more local and rarely go beyond the border of Europe and …. Asti: two slightly sparkling fruity (off dry to sweet) white wines made from the Moscato grape variety: Asti Spumante and Moscato d’Asti (made with 2 different methods). Ideal as an aperitif or to complement a dessert like a fruit salad. Barbaresco: produced in the village of the same name (+ Nieve and Treiso), east of Alba, this Nebbiolo grape based wine is somewhat light in color and body yet fairly powerful, rich, flavorful, earthy, floral and very aromatic with great acidity, solid tannic structure and long ageing potential. Barolo: produced in the village of the same name, southwest of Alba, this Nebbiolo based wine as quite a few similarities in aspect, aromas and flavors with its equally famed neighbor Barbaresco, but in most cases, it usually is even richer, more powerful and some could say more masculine, with also great ageing potential. Barbaresco, being more delicate and in some way elegant, has a more feminine attitude, still with guts and character (don’t get me wrong). Brachetto d’Acqui or Acqui: crafted with the Brachetto grape, from vineyards around the town of Acqui, south of Alessandria, this wine is very aromatic, floral and earthy. It is a frizzante (slightly sparkling) red wine, generally medium-bodied, a touch sweet (some can be medium sweet) and low in alcohol. 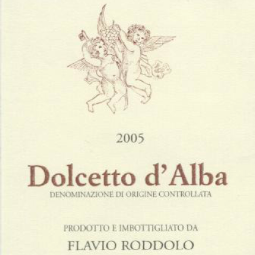 Dolcetto di Dogliani or Dogliani: is a fairly unknown to the US market red made with the Dolcetto grape, in the recently area of the same name, moved from DOC status to DOCG in Piedmont (a DOCG since 2005). To keep an eye on. Gattinara: produced in the village of the same name with the Nebbiolo grape, this wine is made primarily from the Nebbiolo grape variety (locally known as Spanna) with, in some cases, a touch of Bonarda di Gattinara and a drop of Vespolina. Gavi or Cortese di Gavi: produced in the province of Alessandria, close to the Ligurian border, this Cortese grape based wine is crisp, floral, mineral, with light white fruit and citrus flavors, food friendly and versatile, it is a pretty reliable pleaser that did have its hours of fame in the 80s and 90s (now overwhelm by the flux of other white wines from Italy). Ghemme: produced in the Colli Novaresi hills, this red Nebbiolo based is really pleasant, earthy, with very good acidity, a touch rustic and tannic yet food friendly. Like in Gattinara, it can be blended with a small dose of Bonarda di Gattinara and Vespolina. Roero: produced in the Langhe, north of Alba, in a hilly region known for its fruit (Peach and pear mainly) this Arneis grape variety based white wine is a delight. Crisp, mineral, light to medium bodied, fruity, well rounded yet with a great acidity, it is a mouthwatering choice as an aperitif or to complement seafood and white fish. Here you go! The brief and simple above information should help you to make a better choice in your next Piedmont wine selection. Continue to check my blog at www.ledomduvin.com for more notes and info on some of the Piedmont wines that I tasted recently. Dreaming of one day being able to produce Barolo, the Faccenda family purchased this winery in 2003. The vineyards lie just outside of Monforte d'Alba, a commune of the Cuneo province, located southwest of Alba. The vines are 30 to 40 years old for the oldest, planted on limestone soil. Guidobono’s wines are textbook interpretations of the indigenous grapes of the Langhe. Bright, generous and well rounded for the Roero; fruit driven, juicy, soft and rich for the two Barbera(s); austere yet approachable for the Nebbiolo; and structured and traditional for the Barolo. 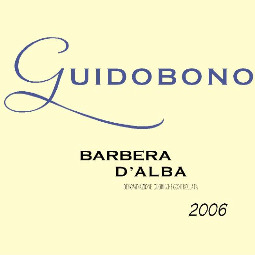 Overall, one can say that, Guidobono produces fruitier, more modern style of Barbera and Nebbiolo. However (and in my opinion), they still have one foot into the traditional style of Langhe, which makes them true to their terroir of origin and somewhat less intimidating for the fruit driven, rapidly evolving and trully eager to learn (young) American palate (think about all of these years of manischewitz or white Zinfandel.....lol...when I think that some people continue to believe that it is good wine....they don't know what they are missing). Made with Arneis grapes planted on clay-limestone soil, harvested in mid-September. The wine undergoes a Criomaceration (pre-fermentation cooling process*) then fermentation in stainless steel tank. Filtered then bottled in March of the following year. The wine is released about 6-7 months after harvest, to emphasize the freshness. Lovely, round, well balanced, fleshy and fruity with peachy and zesty flavors complemented by a great acidity. Ideal for late afternoon drinks, as an aperitif or with Mediterranean flavored fish and white meat. A sipper and a crowd pleaser for party, and casual dinner. Made with Barbera grapes planted on clay-limestone soil, with vines of 10 years old in average. The grapes were harvested in the beginning of October. The wine was then fermented in stainless steel tanks and matured for 6 months in large oak casks and used barriques where the malolactic fermentation usually takes place. It was bottled in July of the following year, and released about one year after harvest. From the generous, and especially interesting in Piedmont, 2007 vintage, this Barbera possesses ripe red and dark cherry flavors, balanced by a great acidity and structured earthy tannins. here again, this wine is fleshy and fruity, in the same time round, soft and approachable yet it remains quite young and the tannins need a tiny bit of time. Decant it before serving to tame the finish or wait for it for another year or two. Made with Nebbiolo grapes planted on clay and sand soil, with vines of 20 years old in average. This wine spent 5 days under maceration and fermentation in stainless steel casks, then matured for about 8 months in large oak casks. It was bottled in June of the following year and released roughly one year after harvest. The 2007 vintage is bringing a lot to this Nebbiolo based wine, that has almost the richness of a baby Barolo. It is still very young and the earthy tannins in the finish really deserve a bit of time. But here again, a little decantation will allow a better expression of the dark berry fruit, floral notes and spice hints. It still fairly approchoable and enjoyable now, but it will surely benefit of a few years of rest in the bottle. In conclusion, I will say that Jan d'Amore is a great, humble and gentle Italian guy (another one...) who has a small portfolio yet full of small undiscovered (in the US market) producers and wineries like Guidobono that really deserve a bit more attention. * - During a process called crio-maceration the grape musts (freshly and gently pressed white grapes still containing solids- pulp, skins, stems, and seeds) are cooled to a temperature of 40°F (4.5ºC) in stainless steel tubes or small tanks. The time and the temperature at which this process takes place greatly determine the texture and characteristics of the finished product). Bien Nacido Vineyards is a cool-climate vineyard on the central coast of California, in Santa Barbara. Located midway up the Santa Maria Valley, it is known for growing Burgundian and Rhone grape varieties, like Pinot Noir, Chardonnay, Pinot Blanc, Syrah and Merlot. Since the mid-90s, other grapes such as Pinot Gris, Barbera, Roussanne, Nebbiolo and Viognier have been planted. Bien Nacido is also known to be one of California's viticultural nurseries, specializing in growing certified budwood and clones for wineries. J.Wilkes sources is Pinot Blanc grapes from the Bien Nacido vineyards, block D. This wine is made with 100% Pinot Blanc planted on well drained, sandy loam soils. The wine is made in stainless steel tanks to preserve the fruit quality and flavors, and aged on its lees for 6 months in tanks to add volume, complexity and texture, before last filtration and bottling. Pale, bright, yellow color in the glass, this Pinot Blanc offers a clean, fresh and mineral nose with white blossom, citrus and white fruit aromas. Great juicy attack with lovely acidity and fruit, almost Alsatian in style, yet with riper, more tropical fruit. Really balanced and well rounded, almost creamy with good acidity. Overall, nice, clean, easy drinking. Lovely. Yesterday, an Oregon winemaker phoned us at the store and asked if he could come to taste us on some of his wines. I didn't think anything of it at first, then I say to myself "why not?" after all, as I often say, every wine deserve to be tasted, even if not every wine should be drunk! This afternoon, while I was working behind the counter of the store, a small, smiley figure with slightly curly, salt & pepper hair entered and walked toward me. At first, I just asked him if he needed some help to choose something in the store or if I could suggest him something. Gently and calmly, with a hardly noticeable Italian accent, he introduced himself: "My name is Joseph Pedicini, I'm the winemaker from Oregon." We started talking about him, his 3 months old baby daughter and how he ended up being a winemaker. He said that he learned about winemaking from his father and grandfather, and continued to speak a bit about family's history. Joseph Pedicini has Napolitan roots. Pedicini's father's family immigrated to the US from Foglianese, next to Benevento (a town located about 50kms northwest of Naples, in Campania region, southwest Italy), where they possessed vineyards (planted with the usual Campania grapes: Aglianico, Greco di Tufo, and Falanghina) and harvested grapes partly for their personal family consumption, selling the rest of the grapes to a local cooperative. His mother’s side of the family originated from the city of Bari, in Puglia (the heel of the boot, southeastern Italy, facing the Adriatic sea and bordering Campania to the northeast). Joe's grandmother maiden name (on his mother side) was "Montebruno". She was an extraordinary accommodating person, a great cook and a real inspiration for Joe, always pleasing her family with their favorite dishes. Moreover, she helped him develop his love for food and wine. He named his wine after her as a tribute. After moving to the US, the Pedicini family, like many European immigrants, searched a place to start a new life, establish their new home and continue to make wine. Stepping in the family tradition, Joseph started helping his father and grandfather operate a small press (in New Jersey) to make their yearly wine production for the family consumption, using refrigerated grapes shipped from California. Stung by the winemaking bug, Joseph studied Oenology, worked for about 15 years from retail to production in the beverage industry and finally began crafting wine in the old traditional family way. As he told me, he had a few rebellious years among his winemaking years, during when he briefly worked and acquired even more blending experiences as a brewer for a little while, in the 90’s. After his brewing period Joe had an interest to go back to the wine business and enrolled in the WSET program to pass his Diploma. During that time, he worked in 2 different auction company (Morrell and Auldin/Sotheby's) and finally realized that he was more attracted by the production rather than the selling, although he enjoyed tasting some of those old vintages red Burgundy (like 60's and 70's La Tache and Romanee Conti). However, he kept his passion for winemaking and never really stopped making wine. Pushed by the desire to have his own project and label, Joe started prospecting around for grapes and a place to “brew” his own wines: Montebruno (named after his grandmother maiden name). Joe is a gentle, passionate guy who loves winemaking and making traditional, earthy, fresh and pure wine (you can surely taste it in his wines). Joe doesn't own a winery, his production is so small that for the moment he is leasing a friend's cellar, until he can afford his own production facility. He sources grapes from selected, small sustainable Willamette Valley vineyards: "Deer Haven", "Rainbows End" and "Irish Bend". The vineyards are certified sustainable by LIVE (Low Input Viticulture and Enology, Inc) and also certified "Salmon Safe" (another organization that insures sustainability of vineyards). Regarding the vineyard management and vinification of his wines, Joe like to keep the yields low and harvest only at full maturity and ideal ripeness in order to produce wines with complex aromas and flavors, balanced and refreshing acidity, and integrated tannins. The terroir and cooler climate of Willamette valley helps to craft juicy, balanced, earthy wines with ripe fruit yet vivid acidity, nice minerality and excellent structure without being heavy or high in alcohol. At the winery, the grapes are carefully sorted and gently separated from its stems, without breaking the berries, this whole cluster fermentation allows for a fuller fruit expression. Joe is a nature oriented winemaker, who doesn't like to interfere too much in the vineyard and during the vinification process, preferring minimal intervention with less (or not at all) use of machinery, and no addition of sulfite, and pretty much growing his wines the organic way. Even the grapes' yeasts are indigenous and natural, Joe doesn't use any synthetically or commercially (in laboratory) generated yeasts, as many winemakers too often do. The fermentation takes place in small, open tanks, and the caps are punched down by hand daily. His reds are unfiltered and unfined to keep and maximize concentration, texture, aromas and flavors. He also ages his red wines in new oak barrels to add dimension and texture. Overall, it is often say that the wine resembles the character and attitude of its winemaker, and it is very true for Joseph Pedicini's wines: soft, gentle and pleasing, refreshing and cleansing, with a up-beat, agreeable earthy attitude, depth, structure and length, in a light, convenient and enjoyable way. He is a very sympathetic guy I must say (from what I could see and discussed with him tasting his wines and on the phone). Discreet, minimal interventionist by nature yet he likes to keep a careful and attentive eye in every step of the production from the harvest and selection of the grapes to the final product in the bottle. He produces 3 wines in tiny-small quantity and insures their promotion himself, in order to choose who will have the suited attitude and aptitude to comprehend and sell his wines. His Montebruno production, for the current release, includes about 60 cases of 2008 Pinot Blanc (already sold out), roughly 160 cases of 2008 Gewurztraminer and 250 cases of 2006 Pinot Noir. Only 167 cases of this really well crafted 2008 Montebruno Gewurztraminer. Behind its clear pale yellow color, the nose is clean, fresh, mineral, floral and zesty with white peach, citrus aromas at first developing nicely, becoming fruitier and more complex after a few minutes in the glass. The attack and mid-palate are surprisingly crisp, very mineral, with excellent balance and vivid acidity with a touch of spice. The finish is refreshing, cleansing and call for another glass. It is definitely different from most Gewurztraminer I have tasted before, from Oregon or else, because it doesn't have the usual (slightly overwhelming sometime) fatness and waxiness that coat the palate. On the contrary, it is lighter on its feet, superbly balanced, elegant, almost delicate, long and clean. It makes you want more of it. This enjoyable, intriguing, racy white will be perfect with sea food and grilled white fish. Here again, small production, only 250 cases made for this 2006 Montebruno Pinot Noir. It exposes a nice bright red, ruby color. The nose is clean, inviting, floral and fresh, a touch ripe, with dark berry and cherry aromas and slight hints of mocha. The palate offers bright red and dark cherry flavors with hints of spice, and earthy notes of mocha again and present yet integrated fruit and oak tannins. Quite rich and structured with a bright, easy on its feet attitude and profile, this juicy Willamette Pinot Noir should please the amateurs and the connoisseurs.The earthy mocha, bitter chocolate notes in the back palate add even more interest to this food friendly Pinot Noir. Have it with grilled lamb. In conclusion, two very good wines from a careful, humble and skilled winemaker to keep an eye on. Keep up the good work, Joe. De Forville is definitely one of my favorite Piedmont producers for quality and value. I loved their 2007 Barbera and now I'm in love with their 2007 Langhe Nebbiolo. It taste like a baby Barbaresco and 2007 was such an interesting vintage in Piedmont that it brings even more depth and complexity to this little gem. The DeForville family emigrated to Piedmont from Belgium in 1848 and established themselves in the village of Barbaresco in 1860. Here, the family started to grow Nebbiolo grapes. In 1907 Paolo Anfosso married into the DeForville family and took over the reins of the family business. For five generations, the Anfosso family has lived in the nearby town of Castagnole Lanze and, to this day, vineyards are maintained in Castagnole. In the early part of the 20th century, the DeForvilles sold their wine in bulk directly to restaurants and to retailers who then bottled the wine. In 1940 the Anfossos bottled their first wine and now virtually their entire production is bottled at the estate. Valter and Paolo Anfosso, sons of Bruno, now manage the estate. The 10 hectare Domaine is divided between holdings in the villages of Barbaresco (3.5 hectare) and Castagnole Lanze (6.5 hectare). Within Barbaresco, Nebbiolo is planted in the "cru" vineyards of Rabaja, Loreto and Pozzo. Dolcetto is also planted in the Loreto site and Barbera is cultivated within the "cru" of "Ca'Grossa". These wines are particularly age worthy and, after receiving sufficient bottle age, develop the complex aromas of fruit, earth and flowers that can only result from wines that are vinified in this traditional manner. Beginning with the 1997 vintage a special parcel of old vines Barbera is vinified in small oak barrels. 2007 De Forville Langhe Nebbiolo like their Barbera is a lovely, earthy, floral, juicy example of what a good traditional Nebbiolo taste like. Beautiful ruby color. The nose offers earthy, slightly smoky, floral notes with bright red fruit (cherry, raspberry) aromas with hints of spice. The palate is really juicy in the attack, exposing red cherry and unripe strawberry notes. The mid-palate expands gently toward the earthy, touch dry, finish. Hints of integrated oak and vivid acidity bring structure and freshness to this excellent, young Nebbiolo. Crisp and easy drinking yet young with obvious ageing potential. Decante it to better appreciate it or wait for it a few years, it should even get nicer. "Year in, year out, a good winemaker will always be a good winemaker. More over, attentive, traditional and natural vineyard management mixed with careful selection, appropriate vinification and winemaking technique, great exposure, well planted vineyard and respect of the environment contribute a great deal to the rich yet not heavy texture, adding needed balance, harmony, complexity and depth to this earthy, fine tuned wine. And if the vintage is good to excellent, then the wine will even be greater, longer and surely have higher ageing potential." Step in to the green! Drink more Bio and Organic wines (and Food) from sustainable culture and respect the environment! Domaine d'Uby is located in the Gers, a region bordering the massive tree forest of the Landes, more precisely in the village of Cazaubon, about 15kms from the town of Eauze, the Armagnac capital. The Domaine, now run by François Morel, belongs to the Morel family since 1920. It was established when the Morel brothers, scions of a prominent protestant Swiss family of winegrowers, arrived in France and acquired their first estate in the Gers. The vineyard, which stretched over 100 hectares, has been totally restructured and is now grown and managed under sustainable agriculture. It mainly produces characteristic white wines resulting from the judicious blending of local regional grape varieties: Colombard, Ugni Blanc and Gros Manseng. The vineyard has been recently enriched by the addition of Sauvignon, Chardonnay, Cabernet Sauvignon, Merlot and Syrah. Made from 75% Colombard and 25% Ugni Blanc, picked at night to preserve their freshness and aromas, the grapes were harvested from selected vineyards planted on slopes with good exposure, good drainage and distinctive soil of alluvium and tawny sand. The harvest was followed by an adapted vinification to each grape variety (according to the desired final product): cold press, pellicular maceration and low-temperature fermentation. This wine didn't see any oak, it was fermented and rested for a few months after fermentation in stainless steel tanks, to ensure maximum freshness and fruit character. 2007 Domaine d'Uby Colombard - Ugni Blanc Vin de Pays des Côtes de Gascogne is a delicious, crisp, refreshing little wine and a typical example of a great value from Gascogny (southwest of France). Very pleasant as an aperitif or with salad, seafood and white fish, this fresh, summery, fruity white wine reveals excellent balance and depth, with zesty citrus, white and exotic fruits with excellent acidity and minerality. At less than $12, it truly deserves to be tasted, at least just for the fun of discovering a wine from an unknown region. Moreover it is a great, versatile and cleansing summer white. Step into the Green! Drink more Bio and Organic wines (and Food)from sustainable culture and respect the environment! The Southwest of France is precious to my heart because it is a beautiful region with rich food and wine culture, complicated history, interesting geography, and many landscapes from the long wild beaches of the Atlantic ocean shores and the dense pine tree forest of the Landes to the high rocky picks of the Pyrénées Mountains range and the deep black truffle forest of the Périgord. Often confused with Bordeaux wines, Southwest of France wines don't say much to consumers. Coming from smaller appellations, often unknown and neglected, these wines represents (in my opinion) very good values and often reveals interesting characteristics due to certain indigenous grape varieties. Southwest of France vineyard area starts roughly from the eastern and southern edges of Bordeaux and forms a triangle shaped area (pointing toward the east) between the town of Bergerac (East of Bordeaux), southwest of Pau (in the Béarn and Basque Country, the southwestern corner of France) and Marcillac and Gaillac (at the eastern point). This large area encompasses many little appellations and sub-appellations, producing whites (dry, semi-dry, moelleux and sweet), reds and rosés, and even one of France's most famous digestif "Armagnac", from grape varieties that you probably never really heard of. Bergerac White: dry, refreshing whites made primarily with Sémillon and Sauvignon with a touch of Muscadelle, and also in very small quantity Ondenc and Chenin Blanc). Also produced Côtes de Bergerac dry white. Bergerac Red: aromatic, soft and earthy reds and rosés primarily made Cabernet Sauvignon, Merlot and Cabernet Franc with a touch of Côt (worldly known as Malbec), and also in small quantity Fer and Mérille (two indigenous grapes of the southwest mainly found in Madiran, Gaillac and some Aveyron wines). Also produced Côtes de Bergerac Red. Montravel (dry whites made mainly with Sauvignon and Sémillon), Haut Montravel (usually semi-sweet to sweet whites with the same previous grapes), Côtes de Montravel (sweet whites, same grapes), Montravel red (red wines made from Merlot, Cabernet Sauvignon, Cabernet Franc and Côt). Côtes du Marmandais (mainly reds and some whites often made with the same Bordeaux grapes as above with in small quantity some Fer, Syrah, Gamay and Abouriou for the reds and Ugni Blanc for the whites. Marcillac (east of Cahors, a fairly unknown small appellation producing mainly light, juicy, earthy, slightly tannic and peppery red and simple rosé wines produced predominantely with Fer Servadou, known in the area as Mansois or Braucol, blended with small quantity of other grape varieties like Cabernet Sauvignon, Cabernet Franc, Gamay, Merlot, Jurançon Noir, or even the nearly extinct Mouyssaguès). Buzet (often confused for a Bordeaux, Buzet produces mainly red (85%), white and rosé wines.The reds are earthy, concentrated and age worthy with a distinct and individual character are made from Merlot, Cabernet Franc and Cabernet Sauvignon for the reds, and Sauvignon, Semillon and Muscadelle for the whites). Gaillac (east of Fronton and North east of Toulouse, Gaillac reds are also very appreciated by the people of Toulouse and are crafted with local grapes like Fer, Duras and Braucol blended with Cabernet Sauvignon and Merlot for the reds and Ondenc, Len de l'el and Mauzac for the whites). Béarn (west of Madiran and Jurançon, Béarn produces big red with at least 60% Tannat blended with local grapes like Manseng Noir, Courbu Noir, Pinenc, Cabernet Sauvignon and Cabernet Franc, and fresh, aromatic whites made with Gros Manseng (white), Petit Manseng (white), Sauvignon Blanc and a small amount of other local grapes like Courbu, Lauzet, Camaralet and Raffiat). Madiran and Pacherenc du Vic Bhil (Madiran (red) and Pacherenc du Vic Bilh (white) are crafted in the same area, from vineyards planted on south facing terrasses (slopes) looking out towards the Pyrenees. Madirans' wines, very much influenced by the Tannat grape, are often slightly green, a bit bitter and tannic in youth, but after a minimum of five or six years aging become rounder, warm and full bodied). Irouléguy (or Irulegi in Basque) (a small forgotten appellation to discover or rediscover, producing excellent, earthy, slightly esoteric, robust red wines and some rosés made with with Tannat (Bordelesa Beltza), Cabernet Franc (Axeria) and Cabernet Sauvignon (Axeria Handia) and some refreshing whites made with Courbu (Xuri Zerratia), Petit Manseng (Izkiriota Ttipia) and Gros Manseng (Izkiriota)). Jurançon (an appellation south of Pau, producing fresh, mineral, zesty dry whites and full flavored, balanced and complex, sought after sweet white wine from the piedmont of the Pyrénées mountains, crafted with Gros Manseng, Petit Manseng and Courbu). Armagnac (one of the two most recognized French brandy produced in the heart of Gascogny, the middle of the southwest of France region, it is the result of a "column stills process" distillation of young white wine usually made from a blend of grapes including Ugni Blanc, Colombard and Baco (22A)). Beside all these main Appellations, the southwest of France also offers plenty of sub-Appellations and Vin de Pays (like Vin de Pays des Côtes de Gascogne) in white, red and Rosé. Be adventurous and curious, and explore a bit more these interesting wine region and their wines. Continue to visit my blog at www.ledomduvin.com to check my notes on the different wines from the southwest of France that I tasted. Follow the wine press or not? I will start this post by stressing the point that I'm more and more, and way to often, disappointed by the wine press in newspapers, highly distributed magazines and even sometimes by some Blogger's post and other highly regarded wine oriented internet websites... They all seem to follow the trend without really trying to understand the nature of the wine, the region of origin or the particularity of certain vintage. Of course, don't get me wrong, I know, there are wines for everybody, and people have different tastes and palates and enjoy a wide array of things, from very esoteric, barnyardy, super earthy, acidic and tannic wines to ultra overripe, super extracted, high alcohol, super oaky, fruit bomb...but like with everything else, balance and harmony are everything (in my opinion), and when a vintage is mediocre or a wine is disgusting for whatever reason, people should refrain from writing good thing about it simply because a more influential wine critics or highly regarded magazine already tried to prove you and convince you of the opposite. I remember, when I came back from the 2003 "En Primeur" tasting in Bordeaux (where I tasted roughly about 600-700 wines, from both banks and in between, including more than once in diverse occasions for some), I hated the vintage and thought that, overall, the vintage was fairly inconsistent, unharmonious and I remain extremely cautious about what to buy. But the overall wine press, at the time, claim fairly loudly that the vintage was extremely good with a lot of ripeness and opulent fruit due to the infamous heat wave of summer 2003. The prices skyrocketed to unprecedented records and for months, the press tried to blind people about the quality of the vintage and the ageing potential of the wines. You see, something incredibly unusual happened this summer 2003; a rarely seen before and somewhat unwelcome heat wave overwhelmed the agricultural world, and for our subject of the day, the wine world. 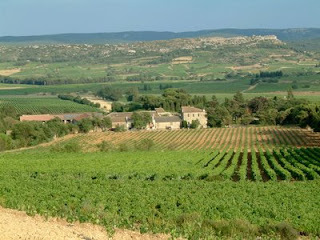 Most of the wine producing countries of Western Europe were badly touched, and most producers didn’t know how to react? What to do to counter the heat wave and still produce a good, juicy wine? As a result many producers made mistakes (which was normal) facing this somewhat unrealistic situation and rarely seen before high temperature rise, and more especially in Bordeaux (rain fall is usually high through out the year in Bordeaux and the oceanic climate, the gulf stream and the influence of the Gironde, The Garonne and the Dordogne River temperate the area and usually regulate the temperature). Moreover, the previous Bordeaux 2002 vintage and the following 2002-2003-winter season were not that great and fairly humid, therefore even the vines were fairly unprepared to support the heat of the 2003 summer and react to it. You see to better understand the situation; we can compare the overall climate and meteorology of 2003 and 2005 vintages which both experienced similar extremely hot temperatures through out the summer and fall season. The difference (between these two vintages) is that in 2005, the vines were more prepared to counter the heat wave because the previous 2004-2005 winter-spring seasons were fairly dry with less overall rain fall, lowering the level of the “Phreatic water cave” (naturally carved underground water reserve caves or layers, also known as “Nappe Phréatique” in French) and consequently the amount of humidity on the surface layers of the ground. Thus, during the 2004-2005 winter-spring seasons, the vines had to send their roots deeper into the sub-layers of the soil and reach lower into the ground to find water and moist layers, responding to a natural need and somehow involuntarily preparing the vines to better support and adapt to the heat wave of 2005. Which, as explain above, wasn’t the case in 2003. And we all know the result…. Bordeaux 2003 was an extremely hot, dry year where most producers harvested way to early to keep a maximum of freshness and acidity in their wines, forgetting to consider the needed full maturity and phenolic ripeness of the grapes to avoid unripe tannins (that occur in the seeds, stems and more importantly grape skin) and unwanted green bitterness. Realizing their mistakes, most producers stopped the harvest and decided to wait to take advantage of the sun and the temperatures to harvest (a 2nd time), but at full or even over-ripeness (sugar ripeness this time) to concentrate the fruit and counter balance their first mistake. So, we all know too that yields were lower, therefore the production was smaller and the unexplained excitement of the press soar the demand and prices skyrocketed. However, what I wanted to say is that somewhat because of the press fooling around about the 2003 vintage and its qualities, blinding people, they forgot to mention the 2nd mistake: unable to go back on their mistakes and somehow ready to please the demand (seeing that prices could go quite high and even higher than the 2000 vintages which was already the highest prices ever paid “en primeur”) most producers blended both harvests together, resulting in unbalanced, unharmonious deep colored red wines with lack of acidity, high alcohol, over-ripe (even slightly to completely stewed, in some cases) fruit flavors, complemented by huge yet green bitter tannins and almost sour angularities (and again weird acidity). The whites were heavy, lacking in acidity and mostly unrefreshing. The sweets were also in my opinion too concentrated and lacking in balance. Don’t get me wrong some yet very few (in my opinion) did an excellent job; and a good winemaker will always be a good winemaker (good years, bad years), even more with today’s technologies that almost allow any winemaker to play Jesus by turning (it is a figure of speech) water into wine (and vice and versa…. knowing that nowadays, you can acidify, de-acidify, chaptalize, Reverse Osmosis, Micro-Oxygenation, Carbonic Maceration, add nutrients, yeasts, artificially increase aromas and flavors, etc…). During the “En Primeur” campaign of 2003 Bordeaux, the prices attained higher ceiling than ever before, making the booed and almost unnoticed 2002 vintage a real bargain (some of those 2002 Bordeaux reds are quite nice and drink fantastically well now by the way). The press was pushing the 2003 vintage, especially in the American market, promoting the quality of its unprecedented super ripeness, apparently “en Vogue” among the non-connoisseurs usually despising Bordeaux wines for lack of ripe fruit (..but this fascinating subject will need another post, another day). Then when the vintage was in bottle and just before it arrived in the various warehouse of the multiple Bordeaux specialized Négociants, importers, distributors and wholesalers, as always it was the war between the American press and the European press, the American more in favor of the super ripe, intense wines of the lot and the European press a bit more conservative, especially the British, which generally prefers Bordeaux wines being less ripe, with higher acidity and tannins. I tasted a lot of these 2003 Bordeaux wines again, once in the bottle, and found pretty much the same defaults, as during the “En primeur” campaign: ultra ripe even slightly stewed fruit (totally cooked for some), somewhat unbalanced and unharmonious in the mid-palate, with, in some cases too much wood topping the stewed-cooked-prune fruit flavors, but more especially some kind of green-bitterness in the finish, brought surely by the mix of high alcohol and some unripe tannins and seeds oil. Which, even with age, won’t disappear or attenuate to the point of getting better, they will remain green, bitter and surely unpleasant. The high alcohol will not settle down either. And it is only with good amount of acidity and ripe, present yet integrated tannins that the wine will be able to last and age properly. Therefore I didn’t like this vintage and didn’t think that the wines will last and will be better with time (of course, some surely will, but overall very few of them, and in Bordeaux they are often the same…but this subject as well deserves another post in itself). Nearly two years later, the 2003 in bottle campaign was a nightmare. The international press started to realize its errors and some people lowered some of their scores, although the “Négociant Bordelais” were selling like crazy due to the demand, the prices continued their ascension and the American market couldn’t stop buying. Then the problems began. I remember telling my old boss, my concerns regarding the vintage and on how many cases we should buy. I remember being very conservative. Trying to tell him that the prices were too expensive and that despite the huge demand, consumers may refrain at the last minute of buying such wines at these prices. Moreover, words that the vintage wasn’t as good as anticipated, and that it won’t keep, started to spread around. The press was somewhat confused, concern and shared in too many ways regarding what will happen. The difference of opinion in between critics on both sides of the Atlantic startled consumers, buyers and speculators. At first, the press’ passion and excitement for the 2003 vintage created waves of rarely seen before attitudes among beginners, amateurs and connoisseurs (except may be for the 2000, 1982,1985 and a few more vintages), but then the confusion that followed destabilized the market. In Europe and Asia the market was all right and sales were soaring. In the US, with a degrading market in regard to the French and their wines due the Iraq war and the insanity of the prices, the campaign didn’t go necessarily has plan and the Dollar devaluation didn’t help either. People realized that the wines were not as great as expected and wouldn’t last for as many years as predicted. Some people even cancel their pre-order cases or bought less than anticipated. Many retails found themselves with huge lot of 2003 Bordeaux vintage in-stock (in their basement or warehouse) that will not move for a little while, a costly sleeping beauty. If you ask the Négociants Bordelais or the Chateaux owners, they will tell you that it was a great campaign for them, but for the retailers around the planet, and more especially in the US, it was another story. Although prices for the 2003 vintages continued to climb in Europe and Asia, they were declining in the US. Retailers and even restaurateurs had to lower their prices and barely make money on them to be able to sell them. Even worst, I remember, going to Bordeaux (for some “En Primeur” tastings in 2005, 2006and 2007) and even in some of the various well-established and highly recommended restaurants where we were going, the Sommeliers were trying to get rid of their 2003s (may be because we were American, but I especially think that it was because they knew the wine will not last and that it was better to sell it to an American known for their fruitier and riper palate, then to try to fool some French or British buyers (who will, in some cases, sarcastically and eventually reject the wine or have difficulties to be convince). My point for this post being that I will rather see and read less immediate passion and excitement from the press about wines that are not in bottles yet and vintages that are finally not as good as they appeared to be at first glance. So, please, critics and journalists, and other writers and bloggers (like me), be more cautious and more accurate regarding the wines you tasted and the overall vintage you described. Try to understand my point. Like for anything else in life, you must diversify your source of information and be dedicated to what you do. You must write with conviction and interest, with passion and excitement but after mature reflection and study of the subject you going to write about. Do not follow the trend of the instant without really trying to understand the nature of the wine, the terroir and the region of origin or the particularity of certain vintage. Taste without any external influences (or as less as possible) and be true to yourself but more especially be true and honest to the wine you tasted, for your sake, the producers’ sake and the consumers’ sake. Don’t let yourself inspire by others, let the wine tells you what it has to say and deliver its perspectives and characteristics. Your taste buds need to express themselves in regard to the tasted wine and what it tasted like, not in regard of what it is supposed to taste or who made it or what brand it is, or even what price you paid for it You must pay attention to the terroir of origin, the different microclimates and all the other reasons why a wine taste like this or like that. And if the wine is not good or the vintage is bad, do not try (once again) to follow the current or the trend of others: say it like it is or don’t say it at all. Over my last 17 years of wine tasting and wine buying, tasting roughly about 6,000 wines a year and at least 500-700+ during each “En Primeur” campaign, I always obey one rule: I only follow my nose and more especially my taste buds. I may have had some bad days (like anybody) where I wasn’t always 100% satisfy by my physical condition and my taste buds (tired, too many tastings, just ate or drink some coffee, etc..), but always taste the wine 2 or 3 times before I buy it. Like a doctor or more precisely a surgeon, I dissect it, separate every components of it, analyze it in every aspect, try to understand it, try to comprehend it, search for more info about where it come from, the terroir, the soil, the exposition, what surround the vineyard, how they care of the vines, etc…. I basically try to know the wine in order to appreciate it, buy it and especially recommend it. I took Bordeaux 2003 vintage as an example because (in my opinion) it is one of the most obvious and controversial wine press scams of this decade, and it is with this vintage that Bordeaux shot a bullet in its foot and started losing its reputation and sales in the US market. The year 2003 seem to have been the year of “Blog”, with an explosion of bloggers (including many wine bloggers that year, -beginners, amateurs and highly regarded connoisseurs-, and even much more, over the past 6 years), joining the fight, tired of reading a press influenced in too many ways and ready to deliver their own messages. In conclusion, I will say that I’m not against the wine press, I’m just asking openly the question: “Follow the wine press or not?” There are more (and more) wine educated consumers avid of more info and especially quality wines (moreover at a decent price of course) in the US and everywhere else in the world than 10-15-20 years ago. So, in fact, wine press should continue to exist in its many forms in order to educate, to orient, to suggest and to help consumers to make their buying choices. However, don’t overestimate certain vintages and don’t speculate about the prices. The younger generations seem eager to learn and comprehend. Therefore wine press people, don’t follow the trend, respect the wine you taste, procure more info about it and be more specific and more details instead of constantly contradicting yourself. Fully review and accept your opinions, articles and scores before feeding us with, sometimes, unfounded and unreflected opinions, and articles thatare the opposite of what you said previously. Like for the movies and cinema in general, wine press critics and mainstream crowds often disagree (amateurs and connoisseurs included on both sides), but in my opinion, the 2003 vintage (in most Europe) set a new standard for the gulf between what reviewers and mass consumers like. And after that, the market and the wine buyers and consumers’ way of buying has never been the same….